No screw or bolt is a match for the 18V ONE+ Impact Driver. With an incredibly powerful 170Nm of torque, this device helps you deal with drilling tasks quickly without breaking a sweat. A tribeam LED light to help you achieve high levels of precision, even in dim lighting. 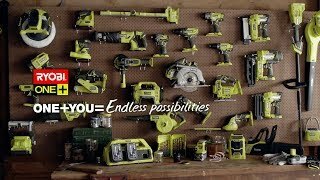 This power tool is also part of the Ryobi ONE+ system, making it compatible with any ONE+ battery you may already own. With ONE+, you no longer have to worry about each and every tool in your shed having its own battery. The 18V ONE+ Impact Driver is part of our massive range of tools and hardware available from Bunnings. Find your closest warehouse with our useful store locator. 18V ONE+ Impact Driver is rated 5.0 out of 5 by 1.